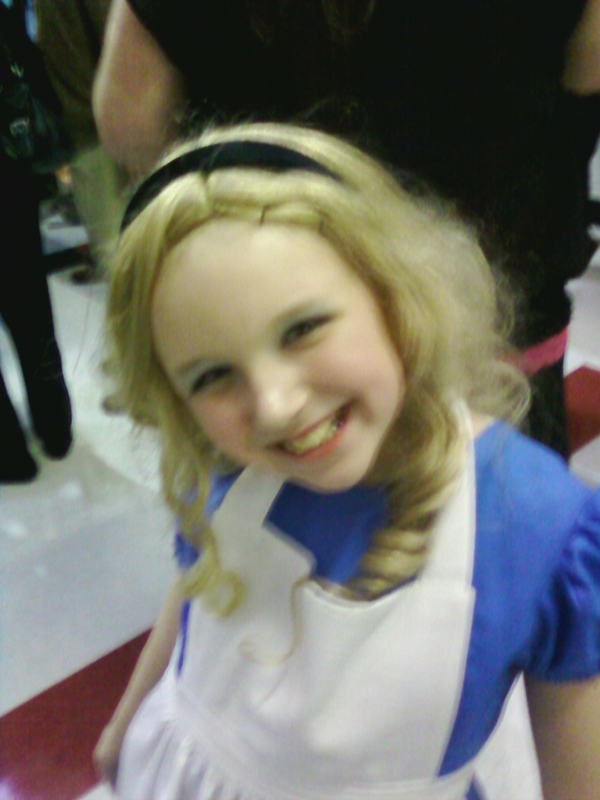 Last night, I went to see Roy Waldron School’s production of Alice in Wonderland. I’ve been to the drama productions every year for the last several years, and I have to say that this year they have really outdone themselves. They have had fundraisers that have allowed them to purchase more sound equipment, so the play was much easier to hear now than in previous years. The level of talent was incredible this year. The sets and costumes were really good this year as well. They put the play on at La Vergne Middle School since Roy Waldron doesn’t have an auditorium. As in every play, there were some standout performances. Alice really lit up the stage every time she was on. She captured the essence of Alice extremely well. The two girls who played Tweedledum and Tweedledee were amazing. They projected energy with every moment they were on. 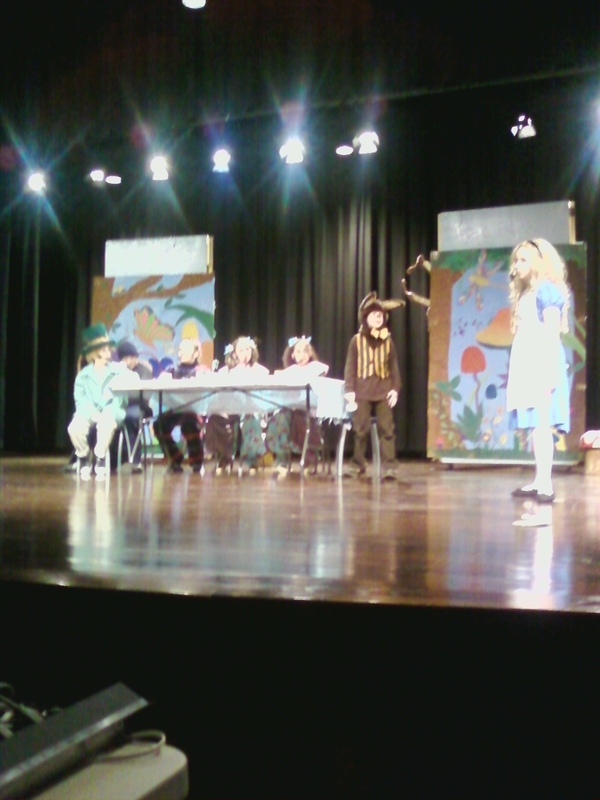 The young man who played the Caterpillar really was awesome, urging Alice to find her “inner fabulosity”. It’s pretty clear he’s found that for himself. Finally, the white rabbit really projected the hurry-up-and-wait attitude needed for the part. Every single kid there did an incredible job, the play was really enjoyable. Great job, kids! 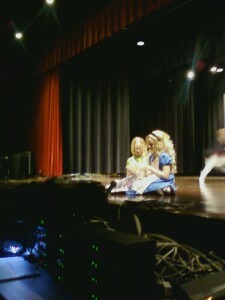 This kid even looks like Alice. If you want to go see the play for yourself, there’s still time. It is on again tonight, Friday March 11 at 7 PM at La Vergne Middle School. Tickets are 5 bucks at the door. I forgot to mention the girl who played Mathilda- she was really cute and fun in her part! I cannot fail to mention the people who really made this happen. Ms. O’Kain directed and has been in charge of the Roy Waldron Drama Team for many years. Every year she puts an enormous effort into these productions. She is so energetic and positive. These kids are lucky to have someone like her to be in their lives. As you can probably guess, one of these kids is my kid, and I just have to say, my daughter hated school until she got into drama. It has changed her life in more ways than one. I cannot thank Ms. O’Kain enough for what she has done for my kid. Mr. Munday and Ms. Stueckle were the music directors. They have also put enormous time and effort into this production. The level of singing and musicality this year were amazing and we have them to thank for that. Mr. Munday is, I believe, new to Roy Waldron this year and is a great addition to the faculty. My daughter has told me several times what fun music class is thanks to Mr. Munday. There are really so many people who have helped with the play- Ms. Conklin was the choreographer (great job with the dances! ), prop masters were Ms. Keweza and Ms. Slinker. Also, backstage help was Ms. Scrip. Mrs. Sorrells painted the set and ticket sales was Ms. Herod. Mr. Agee constructed the sets. Of course, none of this would be possible at all if not for the support of the administration, Dr. Pewitt and Mr. Coulter at Roy Waldron and Mr. Holman at La Vergne Middle. I thank everyone involved for all that they have done for these students. In a time when the legislature is going after teachers, for these amazing teachers to continue to offer the level of excellence that is found in our schools, is amazing. They are not paid extra for what they do. They put hours of their own free time into these programs, and they are changing lives. There aren’t enough words for me to express the thanks I feel to them. Anyway, y’all, come on out and see the play tonight. It’s a very enjoyable time. 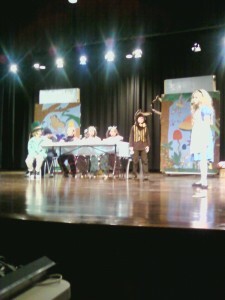 My granddaughter was in the play & I was so proud. The drama team did a great job — thanks to all those dedicated, wonderful teachers who care enough to give of their free time! The performance was AWESOME……Thank you Mrs. Okain and drama team…..RWS Drama ROCKS!!!!!!!!!!! !